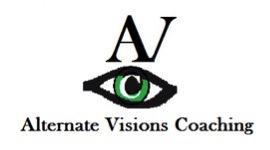 Alternate Visions Coaching (AVC) offers professional Executive Coaching to individuals and organisations who are looking to develop themselves or their employees through the use of effective coaching interventions. Trained and accredited by the Academy of Executive Coaching, AVC uses tried and tested techniques combined with a flexible coaching model that facilitates positive development. AVC can also offer website accessibility assessments. With these assessments, we can help you understand how screenreader users access your website & the obstacles they encounter. We can give you feedback on how to improve their experience and maximise your potential customer base. Please visit our website for more information. We are based in Milton Keynes but all of our services can be delivered by telephone or Skype, and we are happy to discuss visiting your premises.